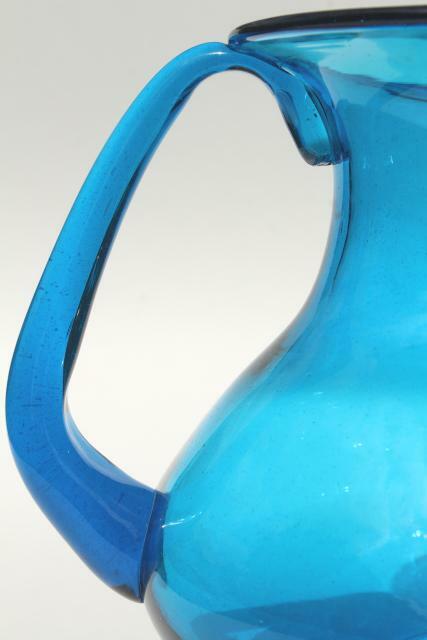 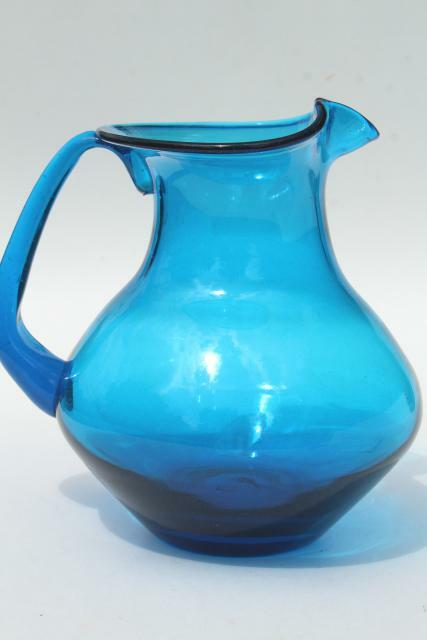 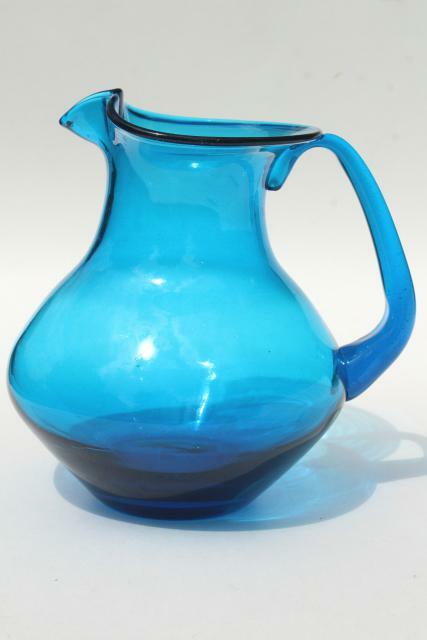 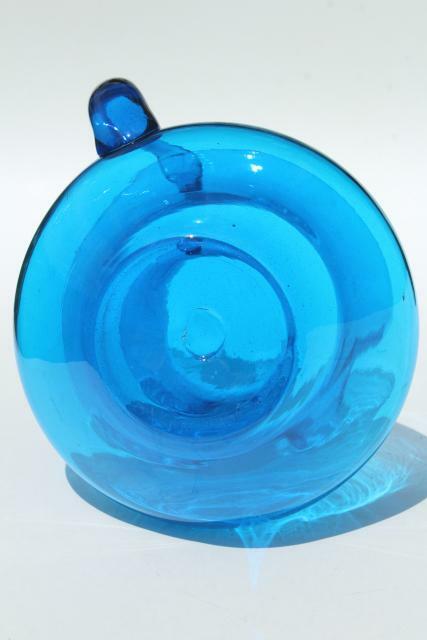 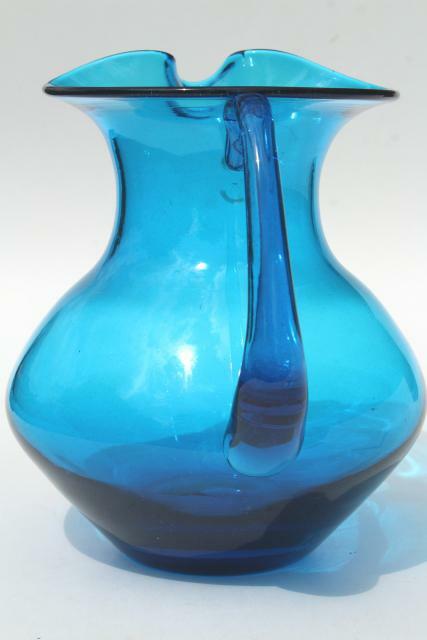 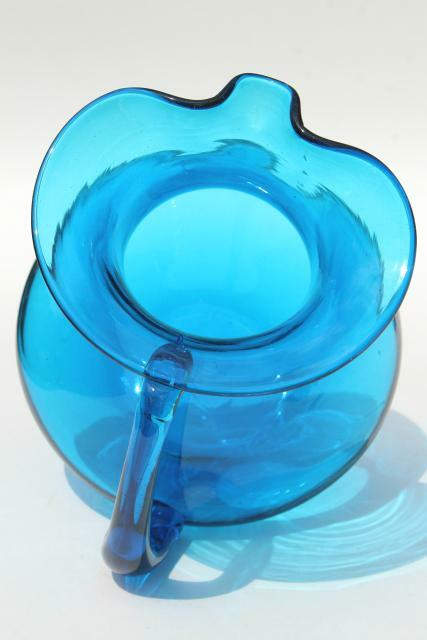 Hand blown glass pitcher with rough pontil mark on the bottom... this is 70s or 80s vintage, probably made in Mexico. 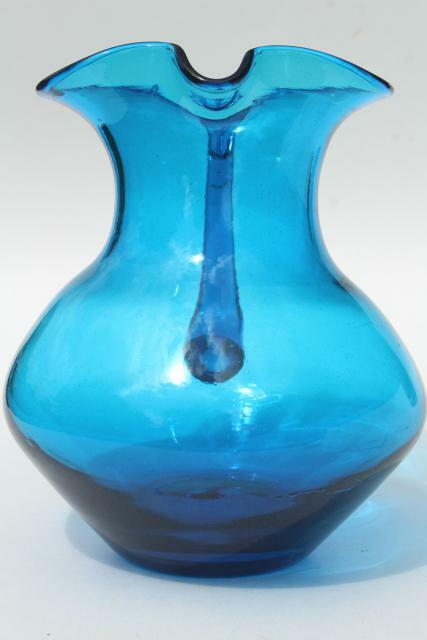 It's about 9" tall overall, in excellent condition without damage or wear. 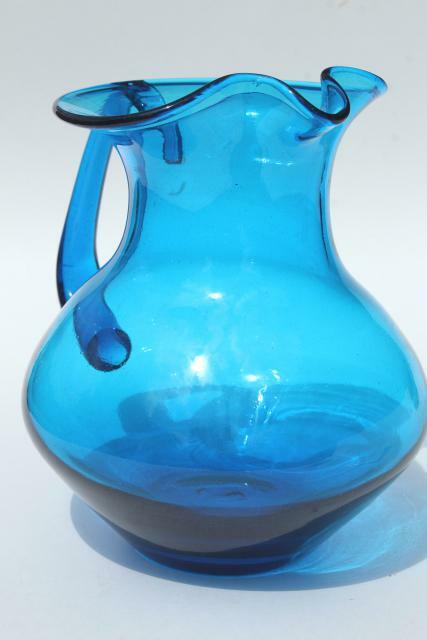 Nice for sangria or margaritas, or other fruity summer drinks.